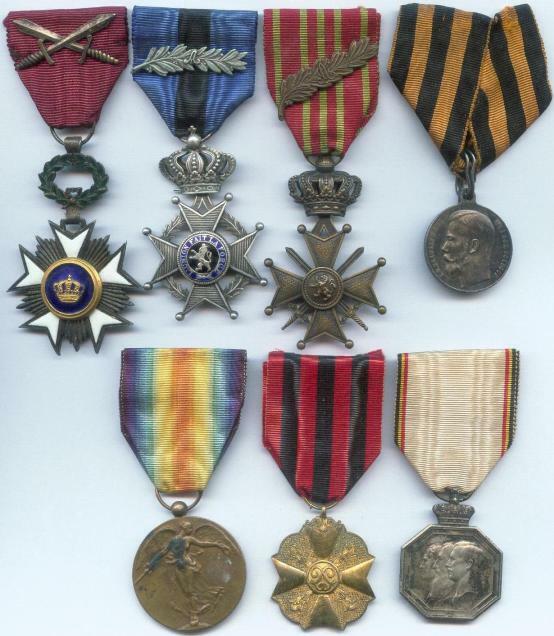 But the medal an cross of Saint georges is olso given by the Tsar Nicolas II to belgian soldiers at the belgian Front. In the Archiefs of the Belgian Army (at the Documentation Center of the Royal Army Museum in Brussels) are some letters that mention that the Divisions had to disigne X officiers, x NCO's and X soldiers to recieve a decoration of the Tsar of Russia. This soldier receive Russian Medal on the Belgian Front . I need post address or e-mail of Documentation Center of the Royal Army Museum in Brussels !!! Tree ays ago I sent e-mail to the Documentation center Royal Army Museum Brussels . I need ROLL of awarding with numbers of awards and numes of soldiers . st. George Awards - crosses and medals - for Best's Soldiers . I've got all the names, but alas no numbers. Can you send me these names ? Hendrik, can we learn what grade this guy had from the orders he received, or could even a normal soldier have received these particular orders? 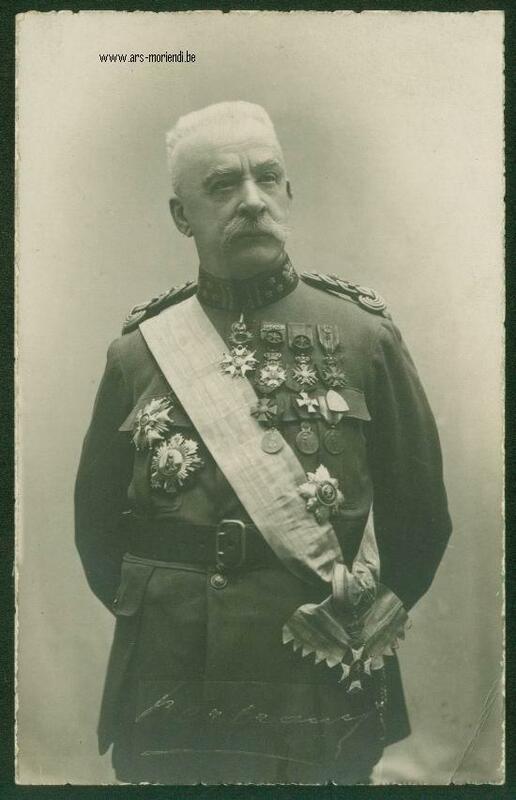 Yes, even a private could get these medals awarded to him although it's fairly safe to say he would not remain one for long : the action(s) for which he received the Leopold II with palm and the War Cross would, in my opinion, be likely to entail a promotion if the recipient was a sergeant or lower in rank. In any case, he was not a professional soldier as the Civil Decoration (for long service in the administration) shows. OK, here are the numbers, there might still be a few mistakes in there, but not too many I hope. we talk about Paul Roze from Belgian Auto-Canon-Machinegun Corps in Russia . with Russian st. George Awards too ! "For courage shown as the commander of the 11th mixed brigade and of the 3rd army division. " It is just so great to read all this information, this motivates me even more, to do some more digging myself. Please do !!! 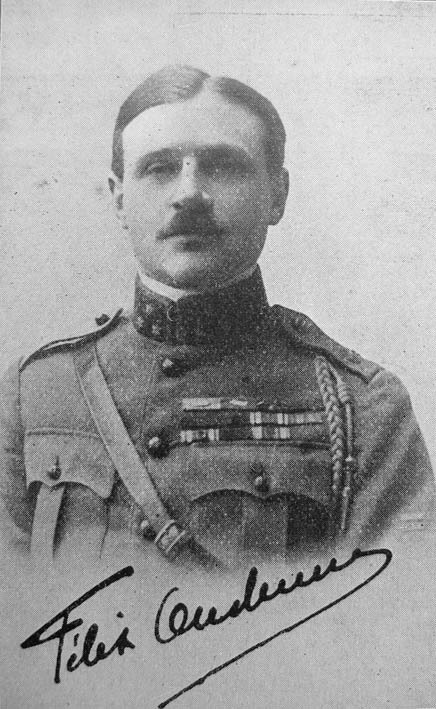 I'm quite enjoying reading this thread ... Captain Oudenne's awards are exceptional - Do you have the texts of the 8 citations as well ? Unfortunate we cannot help you. We don't have such lists. This archive has been stollen by the Germans in 1940, recuperated by the Russians in 1945. Its is only in 2000-2001 that a belgian researcher found back this archive in Moscow. It was not easy to got back that archive to Belgium. For all this an inventory has to be made, it is a titan work, in the documentation center only 2 persons works on a little resarch, normaly when you are going there you have to do the research yourself.
. . . normaly when you are going there you have to do the research yourself. I'd go beyond this: Normally, researchers do their own work. Most archives do not have people on staff to do people's work for them. Research, after all is a lot of work . . . and a lot of fun. Those who have these skills sell them for more than the cost of a postage stamp. Those who collect British or Soviet awards know this. ... as opposed to American stuff... for $10 a name, you can pull enlistment cards, etc in the DC archives.. Adam Rohloff does this on a first-come, first-served basis. St. Louis...... free, but a roll of the dice. I was very lucky and bumped into one of the more conscientious workers who went way beyond the normal pro-forma stuff they spit back.... but it truly is a roll of the dice. send the same name in 3 times... twice "sorry, no records found"... third time, 168 pages of a file copied. It is a Gub'mint job after all.